Better late than never, I just recently listened to the Special Combine Show on the Red vs Blue podcast on blogtalkradio. Excellent show! Scott Atkins and Michael Trent discuss the rookies you need to know, particularly the deep field of running backs. It's a great kickstart to this year's rookie draft season. Scott, a media member at the combine (that would be a blast), gives the listeners an added bonus of some valuable inside information and impressions on certain fantasy situations. With 5 years of FFPC Dynasty now in the books during which span FFPC Dynasty Leagues grew from 3 total in 2010 to 38 today, the top 20 lists start getting more and more interesting. I have put together here the lists for the Top 20 in FFPC Dynasty Career Earnings and the Top 20 in Most FFPC Dynasty Cashes. For purposes of determining a player’s individual earnings, earnings for a partnered league are divided equally between the partners. The Top 20 FFPC Dynasty Career Earnings list also include partnered teams, so it is possible that a player shows up as both part of a partnership and as an individual (and this happened with Wayne Ellis). For the Top 20 Most Cashes, each player gets full credit for cashing in a league whether as a solo or as a partnership. Also, cashing in a $500 League is equal to cashing in a $2500 league for purposes of the Top 20 Most Cashes list. My teams went into the final 2 weeks with a lot of promise and the potential for a gigantic payday. I expected 3-5 titles (but was hoping for more). Unfortunately, most of my teams went into the tank after Week 15. With so many of my teams relying on Calvin Johnson, Julio Jones and AJ Green, as great as they are, the downside is when it goes bad, it goes bad for my teams as a whole. Suffice it to say, none of those three pulled their weight when it counted most, and after Week 15, all but a few of my teams were out of the running for first place. This makes a good case for diversifying when you have multiple teams, but that’s a subject for another time. The poor Week 15 performances resulted in a very restless week leading up to Week 16 while I waited to see if my last few remaining chances would bring home a title. I am really not a fan of Thursday night games (or Saturday games) when it comes to fantasy football. It prolongs the pain I go through each week, which is especially excruciating in Week 16. To help alleviate the pain, I instituted a moratorium in my household on all football related activities, which included, to the dismay of my older sons, watching any of the Thursday or Saturday games or even checking out the final box scores. The moratorium continued through Sunday night, at which point I just had to look. When it was all over, I came out of 2014 with only two titles, one in the DFWC and the other in the FFPC. I am disappointed about the final wins total (considering the number of teams I had in the final 4), but any bitterness was offset by the fact that one of those two titles came in the $2500 FFPC Dynasty League #2, my highest stakes league for a prize of $13,000! Despite the championship losses, 2014 was still a decent year. I ended up with 2nd place finishes in $750 Dynasty League #2, $750 Dynasty League #4, $750 Dynasty League #7 and $750 Dynasty League #10 and a 4th place finish in $750 Dynasty League #3, which should put me comfortably ahead at #1 in the FFPC for total lifetime cashes in Dynasty. Those finishes brought my annual total for 2014 to over $20,000 gross ($12,500 net of entry fees) in the FFPC alone. In the DFWC, I came away with a 1st, 2nd and 3rd place finish in my three non-startup teams. Considering the firepower I had on those teams, that is not all that good, but at least my team in DFWC League #5 is going into 2015 as the favorite to win the 2016 Dynasty King prize. I’d love to win the overall championship one of these years, but my main goal has been winning the Dynasty King award in 2016 and each year thereafter (for an extra $2,000 per year in addition to league earnings). Since the Dynasty King award is a running total of the last three years, winning the title year after year is a distinct possibility, and that is my goal. Anyway, that’s it for now. Merry Christmas everyone! Playoff Week 1 Update: I play in 17 dynasty leagues, 3 of them startups. Out of the remaining 14, I made the playoffs in 13, so there is the potential for a big year this year with a little luck. FFPC: Starting with my highest stakes leagues, I play in 7 FFPC leagues. Unfortunately, the one non-startup team that didn’t make the playoffs was one of these high stakes teams. However, that still leaves 6 that made it in. Two teams received week 14 byes ($750 FFPC Dynasty League #2 and $750 FFPC Dynasty League #3), while the remaining four had to battle it out with 3 other teams for the right of 2 of the 4 teams to make it into the final 4 for a two-week championship playoff. One of those teams is Piano Man in $750 FFPC Dynasty League #10. This is the team where I traded two first round picks (one of which could be no worse than the 1.4) for Peyton Manning and Jamaal Charles. This team now has a top player at each starting position with Manning, Charles, CJ Anderson, Calvin, Julio, Alshon, Cobb and Graham. With that lineup, this team has a decent shot at winning the title but it first had to make it past Week 14. It doesn’t help when your star QB puts up 6 points and your super stud TE puts up 7, but the rest of the gang pulled their weight for a cool 189 and a Final 4 berth. In the Championship, If Julio is out, my replacement would be Dwayne Bowe....OUCH! Another powerhouse team looking to make it into the final four is possibly my best Dynasty team out of all of my teams in any competition, the team in $750 FFPC Dynasty League #4. This team has Russell Wilson and Matt Ryan at QB, CJ Anderson and a crew of mediocre options at RB led by Denard Robinson and Rashad Jennings, a stud WR core of Calvin, AJ Green, Julio Jones, Demaryius Thomas and Alshon Jeffery (and Patterson in development) and TE stud Rob Gronkowski. Unfortunately, for the second year in a row, this team did not get one of the 2 byes despite again being in the top 2 during the regular season in total points (last year was #1). Last year, the team unceremoniously got knocked out in Week 14. This year, in Week 14, the team scored 241 points! That’s after sitting Alshon Jeffery’s 21 points for Demaryius’ 3. The Julio injury will hurt of course, but at least Alshon Jeffery and his elite projected numbers can finally crack the lineup. Of course, a gimpy Demaryius Thomas to go with Julio being out could spell doom for this team's chances against the toughest final 4 out of all my FFPC leagues. The stakes are at their highest in the $2500 FFPC Dynasty League #2. In this league, my young team was possibly the hottest team in the league going into the playoffs but due to a slow start to the season, the team did not secure a Week 14 bye (just missed it). This team has Big Ben, CJ Anderson, Justin Forsett, Gio Bernard, Doug Martin, Bishop Sankey, Dez Bryant, Julio Jones, Odell Beckham Jr, Deandre Hopkins, Jeremy Maclin and Jordan Reed (along with 3 1sts next year). I could really use Julio in the Championship rounds, but for now, this team and its 199 points in Week 14 easily advanced into the final 4. Last but not least (well, possibly least) is my team in $750 FFPC Dynasty League #7. Like most of my teams, this one has a crazy good set of WRs in AJ Green, Julio Jones, Alshon Jeffery and Mike Evans along with more than capable back ups of Vincent Jackson, Brandon LaFell and Roddy White. At RB, this team has CJ Anderson, Gio Bernard and Christine Michael. TE is weak with Jared Cook who now may have a concussion, so I’ll have to dig up a waiver wire TE. Russell Wilson is at QB. This team scored 225 points in Week 14 and is Final 4 bound. To recap, that leaves me with 6 teams in the FFPC in the Final 4 and a decent shot at winning a league, two or three. It has been a bittersweet last few weeks and season in the DFWC. On the sweet side, my team in League #5 took down #1 overall in the regular season, and my team in League #8 finished 7 overall. My team in League #1, which I thought would be my best team in 2014, finished 15th overall. 3 out of 3 second-year teams finishing in the top 20 out of 288. Pretty good. These overall finishes will help one of these teams (probably the team in League 5) win the Dynasty King $2,000 prize in 2016 - my main goal in this competition from day 1. But going into week 14, my focus was on the overall championship for 2014 and the $7,500 prize, and that’s where the bitter comes in. Unlike my FFPC teams, my DFWC teams flopped at the worst possible time. In fact, they were outscored by most of my FFPC teams despite an extra position player in the lineup. First in League #5: An issue with having 6 top flight WRs (Calvin, Dez, Julio, Gordon, Jeffery, Brown) is that I will inevitably choose the wrong WR to sit at the worst possible time - its just what I do. That was the case this week when I opted to start Josh Gordon over Alshon Jeffery. To be fair, Alshon was “reportedly” coming off of an injury. I was concerned that he would pull a Calvin and serve as a decoy for Marshall against Dallas. Gordon had issues of his own, but Cleveland was starving for pass catchers and Gordon was the most targeted receiver in the NFL over the last two weeks. It may have been the percentage play call at the time, but regardless, the call cost me 18 points that I could not afford. My team in League 5 ended up with an average week (which took Julio’s heroics to even get there) while many of the other top teams put up 200+ points. I’ve got a tough road ahead to climb back into contention, but you never know in a 3-week playoff and a team that could put up 230+ points in any given week. Julio’s injury of course does not help. For now, I’m just hoping I can secure the league championship and the additional $1,500 prize with it (on top of the $500 that the team has already secured by its regular season performance). My teams in Leagues 1 and 8 were even worse, thanks to dud performances from Demaryius Thomas, Jimmy Graham and Denard Robinson. Those teams are likely out of the running for their league championship as a result and are near the bottom in the overall playoffs. Very bitter. Starting with Legends of Dynasty ($200), my first Dynasty league ever and where my team is looking to win its fourth title in a row, my team received a bye in Week 14 and is in the final 4. The Brandon Marshall injury makes things tough, but Brandon LaFell is an adequate fill in. I was getting hammered in Badlands ($250) in the wild card round until Monday night and you guessed it, Julio Jones. 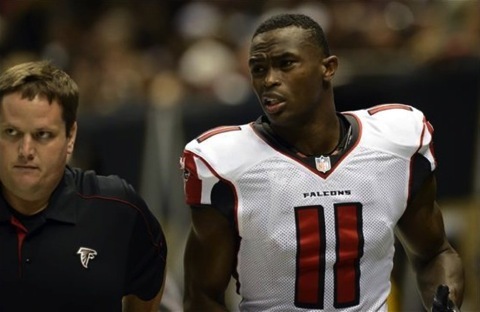 This team advances, but is not likely to win it all if Julio misses games. In The Dynasty League ($500), with the 6-team 3-week playoff format, my team is mathematically still in the race but after a poor Week 14, it will take a miracle to win it all. My team in that league is a perennial 3rd or 4th place type of team and just doesn’t have the health or firepower to make it any higher. In Monster League ($250), my team received a bye and is in the final 4. If I recall correctly, this team has received a bye every year since this league’s inception, which makes 5 years in a row. I don’t draft startups this way often, but I drafted this team to win now and win later, and I’ve been fortunate that it has worked out that way. Thanks to that bye, I was able to survive Peyton Manning’s, Demaryius Thomas’ and Josh Gordon’s combined 12! Going into Week 15, I now have 10 teams left with a legitimate chance to win a league title (a number of which are the favorites to do so, possibly even with the Julio injury) and 3 others that are shooting for 2nd or 3rd for a little extra dough. The ten chances gives me hope that I can bring home the title in 3-5 leagues which would be a pretty good year. A lot will depend on which 3-5 in determining just how good. Good luck in Weeks 15 and 16 to everyone reading this! Feel free to chime in with your success (or heartbreak) stories! Week 10 is here and my teams are fairly well positioned to make playoff runs. While it won’t likely end up this way come Week 14, 12 out of my 13 non-startup teams would be in the playoffs if the season ended today. The other 3 startup teams by design will not make it this year. Unfortunately, none of the teams are looking particularly dominant from a redraft perspective. I think at least a few will end up winning their leagues (just by the numbers alone), but which ones will not be obvious. A number of them look awesome for dynasty, but for this year, there are other teams in those leagues that look just as good with flashes in the pan types like Emmanuel Sanders and Brandon Lafell and oldies but goodies like Peyton Manning, Marshawn Lynch, Matt Forte and the like. Teams with those players are matching up well with my typical Calvin Johnson, AJ Green, Julio Jones, Demaryius Thomas lineups this year. It will be interesting how it all shakes out. With the deadline in the FFPC now here and the DFWC deadline approaching, contenders are doing what they can to improve their playoff lineups via trade. I made a few myself in the FFPC $750 League #10 that I usually would not make. This team is positioned nicely for the playoffs with Calvin Johnson, Alshon Jeffery, Julio Jones and Randall Cobb at WR and Jimmy Graham at TE (1.5 PPR TE), but the team was weak at QB (Eli Manning) and even weaker at RB (Ahmad Bradshaw and Chris Johnson). With Calvin being out for so long and with Graham having his own injury woes as well, this team fell out of the running for the Week 14 bye weeks ago, so it will need some luck in Week 13 to get into the final 4 for the 2-week total points playoff. I felt like the team needed a little more firepower to make a title run. Accordingly, I traded away what will be a top 4 pick in 2015 (in the FFPC, it could be anywhere from the 1.1 to the 1.4 depending on the results of the draft pick consolation round playoffs) plus Roddy White for Jamaal Charles. With a backfield of Bradshaw and Charles, I am feeling a little more comfortable about this team’s chances, but there was still that weakness at QB. To shore that up, I traded my last remaining 1st rounder (my own which could be anywhere from 1.7 to 1.12) along with Eli Manning for Peyton Manning! As far as dynasty value, its not a good trade. Peyton may not even play after this year for all we know. But Peyton Manning is one of the few QBs this year (along with Andrew Luck and one or two others) that are true difference makers at a not so difference making position. This team was very well set up for the future with those two 1sts and already a pretty good playoff team this year even without Charles and Manning, but I thought I’d try something new and actually “go for broke” in a league. Besides, although the 1st used to obtain Manning will be a total loss as soon as next year, with a little luck, it is quite possible that I’ll be able to trade Charles next year for an early 1st for a wash.
My 2013 startup DFWC teams have had a promising start to 2014. After 5 weeks in the books, the team I’ve previously dubbed as having the “potential” to be the best dynasty team ever (my DFWC League 5 Team) is sitting at #1 overall. My team in DFWC League 8 is sitting nicely in 7th overall. Finally, my team in DFWC League 1 is at #10 overall. Three teams in the Top 10 out of 288 teams feels pretty good. Still, its early in the season, and the overall standings are sure to fluctuate week to week. Besides, these overall point totals won’t really come into play until the end of Year 3 (for my DFWC League 8 team) and Years 4 and beyond for the other two, when the 3-year Dynasty King titles (and $2,000 per year) start getting awarded. First off, I acquired Antonio Brown for the 1.6, Ladarius Green and Markus Wheaton. What is the value of a future 1st in 12-team startup draft? How much should you pay if you want one, and how much should you get in return if you decide to sell? In the 2014 DFWC May startup leagues, the following trades for 1st rounders have been made thus far. With all of the various combinations making comparisons difficult, I have attempted to distill the value attributed to the 1st rounder(s) alone (using an unscientific eyeball approach). Given that a quarter of the trades below involved my own team, the results may be somewhat skewed to how I personally view 1sts. Still, I think this information will be useful for this year’s startups and for others down the road (including the next waive of DFWC startups in the summer!). No one wants to be the owner that draws the ire of his or her league (or in the DFWC’s case, that of 18+ leagues) for paying too much or selling for too little. With my League #1 team now looking very good, the question now is, what I am I going to do with my team in League #5, the team that had the 11 1sts, the team that could become the best team ever. On its current path, it could look very similar to this one. I recently acquired Doug Martin for Donald Brown (pre-SD signing), the 1.7, 1.12 and the 2.04. I then flipped Doug Martin along with the 1.11 for Josh Gordon. In this format, being able to start 5 of these elite WRs rather than just 4 is going to make a big difference. I now think that this team is the favorite to be the highest scoring team in 2014 in the DFWC and quite possibly the highest scoring team for the next 3 years (to win the 2016 Dynasty King award). Trading opened a few weeks ago and I took it slow at first, but I just made two giant trades this afternoon for my team in League #1. This is the team that began 2013 with 7 future 1st rounders. It’s a great team, but it is likely to be outdone at every turn by my other team in League #5 (which could ultimately turn out to be the best dynasty team ever, we’ll see). Going into the offseason, the team only had the 1.1, 1.2, 1.3 and 1.10 left (having burned 3 1st rounders in a disastrous mid-season Trent Richardson trade). Last week, I used the 1.10 and Zach Ertz to land Shane Vereen. I also traded a 2015 2nd rounder for Marques Colston for additional WR depth (you can never have enough in a format that allows you to start 5 WR). Trade 1: I gave 1.2, 1.3, Ladarius Green and a 2015 3rd rounder for Jimmy Graham. Trade 2: I gave Gio Bernard, Justin Blackmon and Marques Colston for Josh Gordon. Both trades I think were slightly excessive, even for superstars like Graham and Gordon, but I was intrigued at what both trades together did for my team. I am not certain if I would have accepted one without the other, and I probably would have ended up agonizing over each one had I not had both at my disposal. The Gordon trade in particular is interesting since it highlights my belief that in the DFWC format, WR is king. In most formats, I rate Gio Bernard very close to Gordon. Adding anything substantial to Gio (much less Justin Blackmon, whom I like a lot) would be difficult. But here, in the DFWC, I added Justin Blackmon and a very capable starter in Marques Colston. RB: Shane Vereen, Trent Richardson and Mark Ingram. WR: Julio Jones, Josh Gordon, Alshon Jeffery, Randall Cobb, Michael Floyd, Cordarrelle Patterson and Sammy Watkins (1.1). RB is a little thin without Gio, but I can address that on the wire or by trade. Graham and the WRs, however, make this team a top 5 team in the DFWC in 2014 imo. I made a huge trade today in DFWC League #5. I made the offer this morning and it was promptly accepted. I toyed with the idea of offering Doug Martin and a late 1st for Dez instead with the thought of working my way up to Tavon Austin if I had to, but I decided not to fool around with this one and went with the offer I thought had a good chance of being accepted right off the bat. I always worry about giving up too much value in a 2 for 1 (which has backfired on me all too many times), particularly where one of the two is also an elite player (Doug Martin), but I really had to have Dez for the nucleus that I want for this particular team. I might not have made a trade like this for one of my other DFWC teams with fewer resources (and lower aspirations). Overall, I think this is one of those win-win trades for both teams. A few weeks prior to Justin Blackmon's most recent suspension, I traded him straight up for Doug Martin (post-injury of course). Blackmon without the off-field problems is a top 7 WR. In the DFWC format where WRs are kings (because they score more points than RBs and TEs in PPR, the elite ones last longer than RB and you can start up to 5 of them), Doug Martin was an appropriate price for Blackmon (particularly for a team looking to win now). Of course, there were obvious risks to holding Blackmon (as there is holding a player like Josh Gordon), and this time, the risk blew up on Blackmon owners (of which I continue to be one in other leagues). It seems for now, at least in this league, that I dodged a bullet. You know the saying, "Better to be lucky than good". Also in the last few weeks, I was able to add Jermaine Gresham ($88) and Markus Wheaton ($315) off the waiver wire. Want to see where your FFPC dynasty team stacks up against the best of the best (and/or how far you still need to go to get there)? Here are the Top 20 scoring teams in 2013 through Week 10 (out of 26 total leagues). Most notably in 2013, Michigan Fanatics (Mark Peraino) is running away with top team honors with the following lineup: Peyton Manning, Jamaal Charles, Danny Woodhead, Calvin Johnson, Brandon Marshall, Andre Johnson, Wes Welker, Martellus Bennett. Wow! Nicely done. My teams that finished at #1 and #3 overall last year are hanging back at #6 and #8 this year. Rude Awakening (Josh Smith) has two teams in the top 20 at #5 and #11 overall, as does Atom Bombs (Adam Grossman) at #4 and #10 overall. Its tough to stay on top beyond one year, but 5 teams from last year’s top 20 are again in this year’s top 20. They are Cavalier King Charles ($750 #4) (#1 in 2012), Bobcats ($750 #7) (#2 in 2012), Cavalier King Charles ($750 #2) (#3 in 2012), Atom Bombs ($1250 #2) (#15 in 2012), and K9 Dynasty ($1250 #3) (#10 in 2012). Earlier today, I made a pair of the biggest trades that I recall making for one team in one day. I made it in the DFWC for “the team with the 11 1sts”. Despite the meager beginnings (only 5 players drafted during the maiden draft), I’ve had and continue to have designs on making this team the greatest team I have ever constructed and quite possibly the best dynasty team EVER. Lofty goals, but one can dream. (1) Before the season started, I traded Cam Newton to a potential contender for Percy Harvin (on IR) and Keenan Allen (pre-breakout). (2) Free agent waiver wire has been slim thus far, but I did strike gold with Julius Thomas over the summer and silver with Philip Rivers. (3) Philip Rivers and a 3rd rounder turned into Reuben Randle by trade. (4) The twelfth 1st rounder, the one I don’t have, got off to a fast start and is the 2nd highest scoring team thus far – so all good on that front. The transformation from skeleton crew to “best team ever” will take time, and I really wasn’t planning on making anything big happen until the offseason, particularly anything involving first rounders. When it comes to firsts, I am better off waiting until the offseason when the value of the firsts skyrocket. For those looking for future firsts, this time of year is usually the best time to shop. That said, you don’t get the opportunity to bring on elite players everyday, so when the opportunity arises, you do what you have to do. Following the Julio news last week, I began to put out feelers in the few leagues in which I didn’t already own him. I acquired him in the $1250 FFPC Dynasty league (Demaryius for Julio and a 1st) and in another DFWC Dynasty League, the “one with the 6 1sts” (AJ Green and Demaryius Thomas for Julio Jones, Randall Cobb and what is currently the 1.2). Here, I made an offer of Julius Thomas and Reuben Randle for Julio Jones – offer rejected. Last night, a week after my initial offer, I received an inquiry regarding my prior offer and what I might be willing to add and what it might take to get a deal done. I always appreciate the open lines of communication with leaguemates. In this case, the detail provided was great. It makes trades so much easier to get done, trades that make sense for both teams. So I made an offer, and the offer was accepted this morning. Julius Thomas, Reuben Randle and what will likely be a mid 1st rounder for Julio Jones. 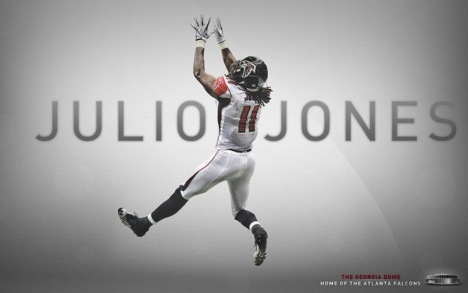 Julio will be the cornerstone for my team and is just what the team needed. With the juices flowing from the trade, I immediately scanned rosters for the possibility of adding another cornerstone and made two offers, one for AJ Green and another for Calvin Johnson. The bait, Rob Gronkowski (a day away from his return) and Keenan Allen (the latest dynasty rock star). 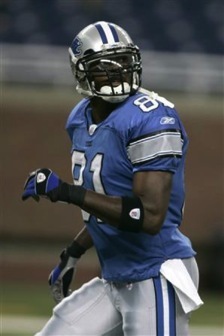 Late this evening, Calvin Johnson was mine. Gronk and Allen may be a bit much for any one player, but Calvin is one of those guys for whom you have to overpay to have a shot. Now would be a good time for a self-imposed breather before I get too carried away and overspend unnecessarily. I’ll focus on a few necessary tweaks in the meantime. The transformation has begun, but it will take time. So how do you get to eleven 1sts in a startup? For one, you have to be proactive and trade early and often. If some other team gets an early jump collecting firsts, you probably aren’t going to end up with more than a few extra firsts. I tend to overpay a bit on the first few firsts in order to get the momentum going and to discourage others that may have had the same idea of collecting firsts (it is now more common than it once was). Overpaying, of course, has its downside (big ones) so I don’t recommend doing that often. Here are the trades I made to get to eleven in the DFWC. Comment: One of my favorite combos year after year. The guys I REALLY like usually dry up a little before the end of the 2nd round, so the drop to the 4.05 is usually not all that big for me. Comment: Slight overpay. You can often draft a mid-1st 2013 round rookie at 7.01, so the question is whether you would pay a current mid-1st for a random future 1st. I’d rather have the current mid-1st, but in the overall scheme of things, it was important for me to land the first few firsts early and this offer was on the table ready for me to accept. Comment: A little pricey for my taste. Big drop from 4.12 to 7.10 in terms of level of talent. Comment: I wanted to position myself better to have a chance at David Wilson with this trade. I like Julio Jones #1 overall, but taking him at 1.01 over Calvin Johnson is somewhat of a wasted opportunity to trade down a little. Unfortunately, this is all I could land. Comment: Again, expensive considering I had to forego Michael Floyd whom I prefer in a vacuum over a random First. However, this got me to ten and I would have it if that random first were to become the 1.2 next year (with my team obviously clinching the #1). Comment: Collecting what looked to be my last First (the last two would not sell), I decided to start collecting Seconds. Comment: This will probably end up being an overpay, but I have too many picks next year (with the short rosters). You never know, the first may end up being a top one, making this trade a win. I also really wanted #11. Comment: Good trade for both teams, as I don’t need Harvin to produce this year. 2.11 Rob Gronkowski: Good value, but this came on the heals of the back surgery news. Nobody wanted him. 4.11 Tavon Austin: I really like him. 5.01 Justin Blackmon: Terrible offseason thus far, but for a team that can wait, he could end up being a great value even this early. 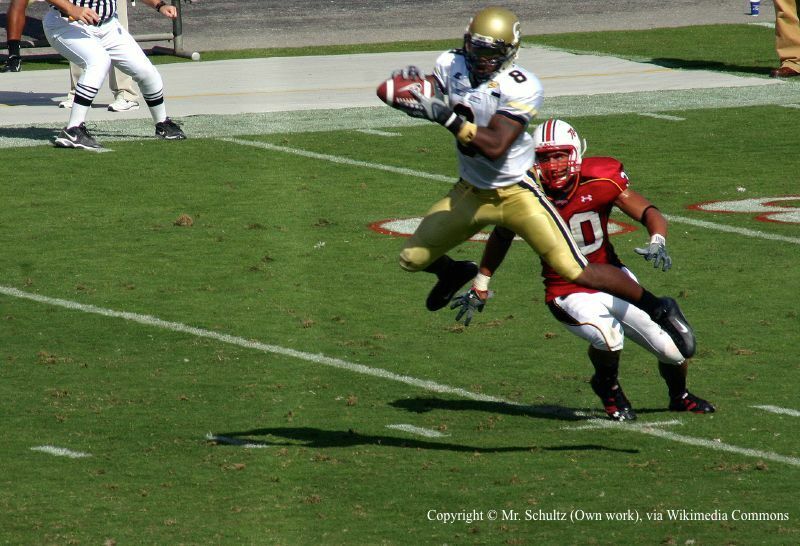 Plus, Torrey Smith got snagged at 4.12. 6.11 Cordarrelle Patterson: Love Patterson this late. To get a sense of what is available on the waiver wire, I have thus far picked up the following players using part of my $1,000 FAAB budget. With rosters of 20 and starting lineup requirements deeper than any other 12-team league I am in, there are sure to be good values later in the year especially during bye weeks. It will be difficult for teams to continue to hold “potential” future studs in this format (particularly when everyone else is playing to win having already traded their future firsts to me). On the other hand, I should have ample room this year to carry fringe players with potential. Stockpiling 1sts in High Stakes Dynasty – How far is taking it too far? In the 2010 maiden draft for the $1250 FFPC Dynasty League, the highest stakes dynasty league at the time, I came out of the startup draft with 6 future first round picks. At the time, such a feat was rare and seemed to many an outrageous strategy, particularly in a high stakes league with smaller rosters. Many (including, at times, myself) questioned whether I took it too far. Fortunately it didn’t take as long as that poster predicted for that team to make the playoffs. While not the success I had hoped for, the results were decent with a 2nd place finish in Year 2 and a 3rd place finish in Year 3. The success in Year 2 (which was a Tony Romo Week 16 zero (thumb to helmet) away from winning the title) was enough for other FFPC players to take notice (and to encourage some others to try the strategy themselves in the years to follow). In that same year, I also acquired five 1sts in a $750 FFPC Dynasty League. By Year 3 (2012), I had won that league (and a cool $4,550) and am going into Year 4 as the favorite to win it all again (despite the loss of Aaron Hernandez this offseason). Results show that going five and six first rounders in 2010 was not going too far after all. In 2011, I entered another $750 FFPC Dynasty League startup and decided to push the envelope out a little more, this time leaving the startup draft with nine(!!) future first rounders and a skeleton crew (albeit an extremely well drafted skeleton crew). In Year 2, I won the title and am going into Year 3 as the heavy favorite to win it all again with the best team on paper in the FFPC’s 26 leagues. Apparently, going nine first rounders was not going too far either. In 2013, I decided to take the strategy a little further, this time in the Dynasty Football World Championships - a $299-entry, 12-league, 144-team competition (PPR). There, I drafted a ridiculous Year 1 team (ridiculous, meaning ridiculously bad) but left the startup draft with eleven (!!!) future first rounders. I really took things to the extreme here by leaving the draft with just five players. Those five players were Rob Gronkowski (1PPR), Cam Newton, Tavon Austin, Cordarrelle Patterson and Justin Blackmon - a nice but not elite bunch. I drafted so few players in part because of the relatively high prices that I had to pay for 1sts. In some cases, I paid early 6th round prices for a random future 1st, which is higher than I had been willing to pay in prior startups and which is probably more than anyone should be paying for a random first. Since then, I made one trade of Cam Newton, Bilal Powell (free agent pickup) and Andre Roberts (another pickup) for Percy Harvin (post surgery), Keenan Allen and Ryan Tannehill, not the best of trades, but one that made sense for this particular team. Ok, so now I have eleven future first rounders which are sure to be quite valuable next year, but will it be enough to offset the skimpy start and permit the evolution to a dominant team? I wish the answer were a definitive “yes”, but I wasn’t entirely sure at first given that eleven firsts with a team as thin as this is unchartered territory in high stakes dynasty. Did I finally go too far? Did I acquire too many firsts and/or did I pay too much in doing so? Upon further analysis, evidence suggests that I probably did not. I compare this team with another team I drafted in the DFWC. With that other team, I left the startup draft with “only” 6 firsts but a much better initial team as a result. That team consists of the following key players (after a few post-startup trades): AJ Green, Demaryius Thomas, Giovanni Bernard, Cordarrelle Patterson, Justin Blackmon and Michael Floyd. As compared to the team with eleven firsts, it is easier to draw the conclusion that this team, with its elite core of AJ Green and Demaryius Thomas, its complementary future studs in Bernard, Patterson, Blackmon and Floyd, and its six firsts WILL evolve into a dominant team. That is the conclusion I draw for this team. But how does this team really compare to the team with eleven firsts? By cancelling out equal or comparable values (i.e., Demaryius for Gronk, Bernard for Tavon, Patterson for Patterson, Blackmon for Blackmon and 1sts for 1sts), what I am left with is roughly AJ Green and Michael Floyd on one team and Percy Harvin and 5 1sts on the other. I would personally take Harvin and 5 1sts over Green and Floyd, but in any event, the values are at the very least comparable. This suggests to me that the team with eleven first rounders is at least as good or possibly even better than the team with AJ/Demaryius and 6 firsts, a team I have already concluded will be dominant. Bottomline, I believe results will show that going even eleven firsts and paying inflated prices to get there is still not going too far. Really depends on the method you use to value rookies. Judging by way of where rookies will get drafted in the DFWC maiden drafts this year, I’d guess the median value of all of the future 1st rounders (i.e., the 1.6 or 1.7) will be in the mid 7th range, maybe in the 8th in some leagues. The best rookie picks (the ones from the worst teams) could be very valuable (depending on the class). The worst are probably 10th round value or worse (depending on class). Problem is, if you acquire picks like I am (sight unseen), you are really buying random 1sts. So, paying more than a 7th round value for a future 1st is high, since you can simply draft the 1.6 or 1.7 rookie this year at a mid-7th round price. That said, my 1st deal this year was a straight up 7.1 for a 1st, which was already above median value. I knew I wanted to acquire mass picks, and I had to get the ball rolling quickly before the future 1st competition in the league (aka Ground and Pound) got their acquiring momentum going. Given Scott’s lectures on the value of one’s first (6th round by the way for a random first is too high imo – grrrrrr), I knew I would have to pay more for 1sts this year than in some other leagues. The last one I acquired was at a price of 6.12+10.12 (a rough value of a late 5th). Considering that you can probably acquire a top 4 rookie in the late 5th this year, that price is very pricey. So Im probably going a bit overboard on price, but you never know when that one pick you didn’t acquire will be a top 3 pick next year. Plus, it was the 9th 1st for that team and I felt like I had enough resources to go ahead and splurge a bit. I think there is a little extra value in acquiring 8+ picks where each pick will be worth a little more on average than if you were just acquiring only 1 extra 1st. Ive seen some serious overpaying for 1sts thus far (probably thanks to Scott). I think in one league, someone paid a 3.8 for 1 first rounder, and then a 4.3 for a second, and this was before the draft even began (i.e., before you have any indication as to how good or bad that team will be). That’s crazy since the first rookie this year won’t even be taken at 3.8 or 4.3. If those picks turn out to be merely average (and how can they be worse when you’ve given them an extra 3.8 or 4.3 to start), he would have traded a 3.8 this year for a 7.6 value next year and a 4.3 for a 7.10. Essentially a ticket to dynasty hell. That’s one team that league wont have to worry about for years, if ever. Scott is right, you need to be careful selling your 1st too cheaply. But, unless you know what you’re doing, buying a 1st for more than 7th round value can be dangerous as well. 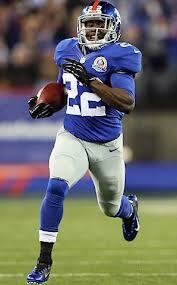 Is David Wilson the next CJ Spiller? Like Spiller, Wilson is an electric back that can explode around the corner with great acceleration. While not quite as fast as Spiller, there is little doubt in my mind that Wilson is just as big a threat to take any particular carry to the house. While dynamic like Spiller, the report on Wilson from his college days was that he runs with more power. The limited footage of Wilson’s rookie season appears to be bearing this out. Wilson’s inside game and power may be better suited for taking on a greater feature back workload (and the all important goal line work) than Spiller’s. Spiller’s advantage over Wilson at this point was/is Spiller’s ability as a receiver. If you recall, Spiller’s receiving skills were so good that Buffalo even dabbled using Spiller as a slot receiver (the reverse Percy Harvin). In PPR, Spiller’s receiving ability can potentially make all the difference in the world. While I don’t think Wilson will ever match Spiller in that area, I do believe he’ll receive enough screen passes and dump offs in the flat to be a fantastic PPR running back. As for their situations following their rookie seasons, the two backs are very similar in that regard. Like Spiller, Wilson played as a backup his rookie year. In Wilson’s case, he barely saw the field for most of the year (due to one inopportune fumble landing him in the dog house). Both players made their marks as gifted kickoff returners. Both were seemingly underutilized but destined to do much more. Like the Bills’ situation going into 2011, the Giants’ backfield has the looks of an RBBC going into 2013 as well. I’d say, however, that Wilson’s situation today is superior to that of Spiller’s in 2011 from an opportunity perspective and a standpoint of how that situation is likely to affect Wilson’s value following 2013. Bradshaw for one is the walking wounded, and even when healthy, Wilson may prove to be too good to keep in an RBBC. Bradshaw, while turning only 27, is not nearly the back that Fred Jackson was at age 30 (and is not even the back that Bradshaw himself was just a few years ago). 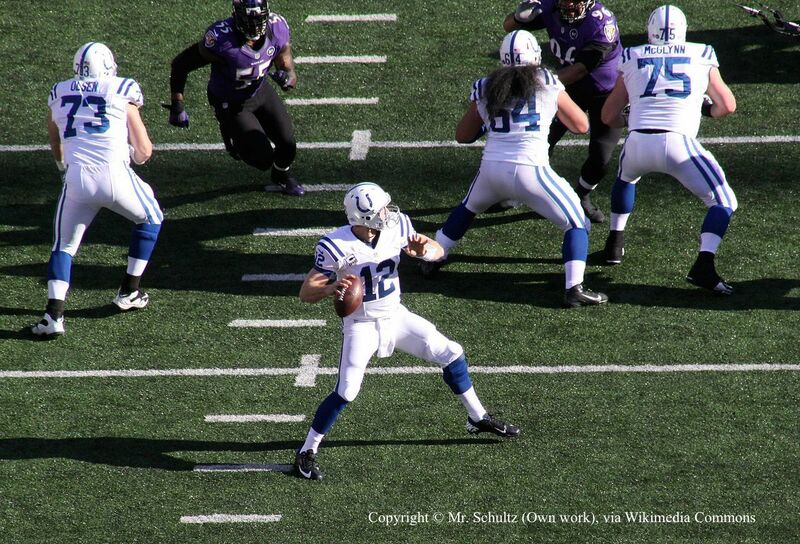 Bradshaw does not present the obstacle to Wilson’s ascension to a starting role that Jackson did to Spiller’s. Advantage Wilson. 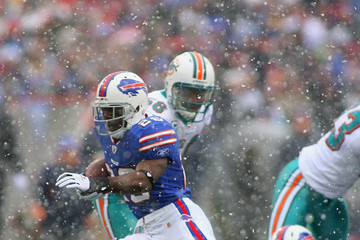 Spiller ended up playing behind Fred Jackson in Year 2 until Jackson got hurt, after which Spiller strutted his stuff. I think Wilson can do the same if/when given the same opportunity. By the way, in case he crossed your mind, I don’t believe Andre Brown poses any real threat to Wilson in that regard. From a performance standpoint, while both backs did little in their rookie seasons, Wilson showed more. Spiller believers were left to latch onto his performances in college to support their continued faith in him, while Wilson supporters at least have some NFL footage to go by as well. Unfortunately, this means that David Wilson may not come at the same discount that Spiller did back in 2011, but I don’t think Wilson is that much more hyped than Spiller was either. Wilson is still obtainable by trade (albeit at a price perceived by many to be highly inflated – personally, I think he is still way undervalued). In any event, I am not here to tell you that Wilson is now or will be in a few years better than Spiller from a skills or performance perspective. I believe Spiller is still on the rise. Wilson will not be out-producing Spiller any time soon. I’m not about to be so bold to tell you that Wilson is more talented than Spiller. Spiller may be the most talented back in the NFL. What I am saying though is that Wilson’s dynasty value has a very good chance of surpassing that of Spiller if not by the end of this year, then by the end of the next; and it is all made possible by the greatest equalizer in dynasty fantasy football, age. At this point in Spiller’s career (i.e., after his rookie year), Spiller was 23. Wilson is only 21. That’s a 2 year advantage to Wilson, a significant advantage to say the least. Take Spiller today, a fantastic young RB (25 going on 26) with the promise of a great career ahead of him. His dynasty value is already a top 12 overall player as it should be. Now, imagine if Spiller were just 23 going on 24 (which is what Wilson would be after his third year). What would his value be then? Arguably, the #1 player overall! Wilson has two years to equal what Spiller has done up to this point, which is to produce a fantasy season commensurate with an RB1. That certainly is no easy feat, but I do believe that there is a very good chance that he will. If he does reach that level of production, I believe he will be considered at that time the #1 player overall in dynasty, a designation carrying with it immense value. How much is that “potential” worth to you today? For me, it is a top 7 or 8 RB value and a top 20 overall dynasty player. Sound crazy for a running back that has rushed for only 358 yards in his career? Maybe, but I think there is a very good chance that I am STILL undervaluing him at that ranking. It didn’t take long to begin the dismantling of my $1250 team. It was a good team that had a decent shot of placing/cashing again in 2013 in my estimation. Ultimately though, I know this team will never reach its max potential without a good rebuild to make up for some of the critical mistakes I made up to this point. For that reason, I have decided to spend the year scaling back and replacing producing vets with faster appreciating assets, namely 2014 1sts. I believe this team has the necessary resources for a successful, worthwhile and quick rebuild with elite players McCoy, Spiller, Dez and RGIII, another very good player in Mike Wallace, and a number of other good players in Miles Austin, Tony Romo, Vernon Davis, Jermichael Finley, Josh Gordon and Danario Alexander, among others. The trick will be to accumulate as many 2014 1st rounders as possible (in order to maximize the number of ping pong balls for the all important top 2 picks in 2014) while keeping the elite core of the team in place. As soon as trading opened on New Years Eve, I began to work the emails, and less than 24 hours later, I traded away Tony Romo, Miles Austin and Jermichael Finley for a 2014 1st and the 1.10 in 2013 (which happened to be my own draft pick). If I were to rate the trade, I would give the other team the “win” by a good margin, but I accomplished what I needed to give the rebuild some momentum. Another 24 hours later, I traded the cornerstone of my team, Lesean McCoy for Aaron Hernandez and another 2014 1st. McCoy lost a bit (but only a bit) of his luster since this time last year, but he is still an elite player in this format, and trading elite players is usually not a recipe for success in the FFPC. An exception to the rule is where you land another elite player in return, and in my opinion, Aaron Hernandez is in fact an elite player in a format that heavily favors TEs. From there, I traded my 2014 3rd rounder for Josh Freeman, my 2014 4th rounder for Chris Givens and my 2013 1.10 for another 2014 1st rounder. I also traded Mike Wallace (whom I still like quite a bit) for this year’s 1.1 rookie pick. The trade gives me flexibility to draft a RB that can hopefully serve as my RB2/RB3 or trade for a young vet, additional 2013/2014 rookie picks or both. While no one (including me) is particularly high on this year’s draft, I anticipate that the top picks will still have good market value come draft time (as they always do). It’s a good start to my plan. The only worry is that I’m not sure I’ll have the patience to wait this one out. With a $7,000 first place prize and a team that could still compete (quite nicely imo) in 2013 if I were to convert the 2013 draft picks into producing vets, the temptation to revert back to a win-now team will be tough to overcome. What I need now (while I still have the resolve to rebuild) is a trade that takes me to a point where turning back is no longer an option. CJ Spiller perhaps? Hmmmm. Wayne Ellis (Coltsfan) won an incredible 4 titles the first two years, an amazing feat given the high level of competition in the FFPC. I’ve got quite a ways to go to match the title count, but who knows, my top 2 teams do provide some hope that it could happen this time next year. Of course, with Wayne being as good as he is at fantasy football (dynasty and redraft), the 4 titles will be a moving target. Derek Pierson (MustSee TV) burst onto the dynasty scene with one win, one giant win. Derek took the title in the $2500 FFPC Dynasty League (now the highest stakes dynasty league in the world), taking home an amazing $15,500 in the process. That looks like one exciting league to be in, and I’ve been kicking myself for failing to sign up in time. If I recall correctly, the league was filled in less than 48 hours. Wow! By design (for the most part), my teams will generally start off slow. But now that my teams are in years 2, 3 and 4, I feel like my portfolio overall is picking up steam. My championship hopes were quickly dashed in Week 15 with a very weak 101 point performance while two of the other playoff teams went nuts. Dez was out of my lineup in Week 15 (replaced with Miles Austin), and I suffered dud perfomances out of Danario Alexander (a zero), Vernon Davis (2.5 points) and Josh Gordon (5.7 points) - brutal. Week 16 was a different story, and the team rebounded with a 199 point effort in Week 16 (this time with Dez and McCoy back in the lineup) to secure a 3rd place finish and $1,500, but the damage was already done. Congrats to Scott Atkins of Team Legacy, one of the best dynasty players around, for taking the title and a total of $7,875. I had high hopes for this team going into the playoffs and it put up a respectable 161 points in Week 15, but that total was only good enough for a distant 2nd place (Chris Carlson’s American Mullet team scored 201!). Ray Rice’s dud performance in Week 15 really hurt, considering in particular that Darren McFadden’s 20 point effort was left on the bench. One of the problems with a two-week playoff is that you have an entire week to dwell on a sub-par performance and contemplate the likelihood that your team will lose. 40 points seemed insurmountable and I figured it would take a 200 point performance in Week 16 to have a chance. Right on cue, the team put up the big numbers in Week 16 (without Gronk) and reached 192 to take the title and a cool $4,550. My strongest team when healthy, this team also sat in 2nd place after Week 15 (at 149 points) behind mediocre but acceptable performances out of Tony Moeaki (8 points in place of Gronk) and Brandon Weeden (15 points in place of RGIII). It could have been worse though as the team stood only 12 points out of 1st after Week 15. A solid Week 16 would give the team a chance to win it all, and a solid performance was what I got. The team scored 177 points in Week 16 behind studly performances by Calvin Johnson, AJ Green, Julio Jones, Demaryius Thomas and CJ Spiller. It was just enough to take the title and another $4,550. Out of my other 4 non-FFPC titles this year, the one I was particularly happy winning was Legends of Dynasty (my very first foray into dynasty back in 2005). I have now managed to go back to back in that league (after being schooled during the early years by Scott Atkins and other ringers), and will be shooting for a three-peat in 2013 behind a starting lineup of Tom Brady, Lesean McCoy, CJ Spiller, Jamaal Charles, Brandon Marshall, Larry Fitzgerald, Rob Gronkowski and Jimmy Graham. Do You Watch Football on Sundays? I get so stressed about fantasy football at times, especially during Weeks 14-16 when everything is on the line, that I try to avoid watching games or looking up scores for as long as I can on Sunday. You’d figure with NFL Redzone, a fantasy football player’s dream (for those without Direct TV at least), I’d be glued to the screen all Sunday and loving it. That’s just not the case, and I’m finding it harder and harder to enjoy watching any football at all (live football that is – I still like watching NFL Game Rewind after the fact). The problem is that I inevitably can’t resist looking at some point. Once I do, I can’t stop, and it can be pure agony the rest of the way. I would hate fantasy football if I didn’t love it so much. Week 14 has come and gone, and my $1250 FFPC team made it to the finals after all (to join my two $750 teams) with a 164 point effort led by Mike Wallace’s 30 and Danario Alexander’s 28. Interestingly, while 164 was about as good as I could have hoped with the rag tag lineup I was throwing out there, another team actually outscored mine by 0.25 points (2.5 yard difference), and yet another would have outscored mine by 7 but for the fact that they started Chad Henne instead of Big Ben due to concerns Big Ben could get knocked out early. The fortunate choice brought back painful memories from last year’s choice of Romo in Week 16 over Vick due to concerns that Vick’s playing style could get him knocked out early – a decision that ended up costing me the title in this league. The other team must be kicking themselves for that call (although not an unreasonable one), and I feel for them. my team didn’t make it through entirely unscathed. With my best player (Lesean McCoy) already out with a concussion, RGIII is now also out and Dez could be a decoy this week with his fractured index finger. I’ll be going with Romo for RGIII and probably Austin over Dez. Things could be looking up though if I can somehow keep it close this week (with McCoy and RGIII possibly returning in Week 16). This may be my best FFPC team going into the playoffs. Despite Gronk being out, this team is the healthiest of my three in the finals. I like Dallas Clark this week (would prefer Gronk by a ton obviously), I’ve got Cam at QB (vs RGIII in both of my other leagues), and Darren McFadden and Pierre Garcon are available on the bench should I need them in Week 16 (in case of injury or if Knowshon puts up a stinker). Clearly my best team when fully healthy, this team is unfortunately hurting badly with Gronk and RGIII out. I wasn’t able to secure replacements that I could be comfortable with and am forced to go with Brandon Weeden and a choice between Marcedes Lewis, Ben Watson or Tony Moeaki. I’ll have to hope that Trent, CJ Spiller, Calvin, AJ Green, Julio and Demaryius can light it up and make up for the injuries, but I’m very worried that they won’t be enough. Having a good QB in the playoffs can be so important when competing in total points against multiple teams. My competition has Tom Brady, Drew Brees and Josh Freeman. On any given day, the good QBs can go off and give a team a huge edge. If Brandon Weeden doesn’t score in the 20s (which in itself would be a great game for him), I could find myself in a huge hole. Same goes at TE in this format, particularly when I am up against Jimmy Graham, Aaron Hernandez, Tony Gonzalez and Jason Witten. Comparing those TEs with the TE I eventually choose is a joke. That said, if my team keeps it close and if Gronk and RGIII return next week, look out! Overall, my other non-FFPC teams playing in Week 14 (i.e., the non-bye teams) did very well, with 6 out of the 7 making it through to the semis. All in all, I now have 14 teams in the final 4 (out of 22 teams in all), a good total for Week 15. I ended up making the playoffs in the $1250 FFPC after all, but I’m going in with Lesean McCoy on my bench (where it looks like he’ll stay, win or lose) and with Montell Owens (won him with $1 out of my final $2) as my starting RB2. I’ll need to finish in the top 2 out of the 4 non-bye teams. With the lineup I’m throwing out there, its not looking good, but I do have a chance – RGIII, Spiller, Owens, Dez, Wallace (or Austin depending on health), J.Gordon, Danario, Bailey, Cleveland (vs KC). I’ve got the week off in the $750 FFPC Dynasty League #2 and #4, and my focus there over the last few weeks has been stocking the teams with a few replacement TEs in the hope that one gets hot by Week 15 to fill the huge hole left by Gronkowski’s injury. For the $750#2, I acquired Dallas Clark and Marcedes Lewis (using up most of my BBID in the process) the week Gronk went down. In the $750 #4, I acquired Marcedes Lewis and Tony Moeaki. Out of my 22 dynasty leagues (which include the 5 FFPC leagues), I’ve made the playoffs in 15, and secured the bye in 8. Not bad, and 8 total bye teams is pretty good (I think), but the number of playoff teams is a little disappointing. With my focus on the FFPC dynasty leagues over the last three years, my involvement in the other 17 non-FFPC leagues has really suffered. Embarrassingly, in half of the non-FFPC leagues, I haven’t spent a single dollar of my free agent dollars (or depending on the format, haven’t submitted a waiver request outside of the first come first serve free for all after waivers run). My moves (this year and last) have been limited for the most part to picking up defenses and kickers and replacing bye players when necessary. It takes all my time and energy to stay on top of the blind bidding in my 5 FPPC leagues. I am just not able to scan the waiver wire in my other leagues. On one of the neglected teams, I’m looking at my pathetic RBs (must start 2) going into the first round of the playoffs, and I’m starting Matt Forte and Ronnie Brown at RB (Stew used to be a starter – but that’s no consolation). In the meantime, my opponent is starting Arian Foster and Doug Martin. Sheesh. Earlier today, I submitted a $98 (out of $100) bid on Montell Owens to “fill” the hole, but there shouldn’t have been a hole in the first place, not when my team (PPR btw) has AJ Green, Dez Bryant, Demaryius Thomas, Andre Johnson, Dwayne Bowe and Torrey Smith at WR and must start 3 and only 3. You would think I could have simply traded one for a better RB. That’s interesting, as I am writing this and looking over my roster, I just now noticed (for the first time all year) that I have Jacquizz Rodgers on my taxi squad. I guess I don’t need Montell Owens after all (not that I could have used the $98 anyway). This is no way to run my dynasty teams. Something’s got to change. Anyway, good luck to everyone in the playoffs! With the success of my teams in the $750 #1 and $750 #2 leagues in 2012, I was curious to see how they stacked up from a redraft standpoint to the other teams in the twelve FFPC Dynasty Leagues. Note that total points between leagues does not count for anything in the FFPC, but it was fun to look at. Here’s a run down on my three key dynasty leagues in the FFPC. With one week to go in the regular season, my teams in the $750#2 and $750#4 leagues have now clinched the #1 seed, a bye in Week 14 and the league total points title. I can rest easy for the next two weeks until we get to the final 4 in Week 15. At that point, it will be a two-week total points playoff among the 4 teams where I think I’ll have a good chance to win it all (particularly if Rob Gronkowski, whom I have on both teams, can make it back by Week 15). Unfortunately, the road to the final 4 will not be as easy for my team in the $1250 league. The good news is that my team there is currently sitting in the sixth playoff spot with a 3 VP lead over the next team (and a 90 point lead for tiebreaker purposes). I “only” need either to secure 1 VP myself or hope the next team does not get 4 VP. Simple enough? Not exactly. My team is hurting right now with McCoy down, Austin and Stew (emphasis on ewe) gimpy and Mike Wallace without a QB – getting that 1 VP this week is not all that likely. Accordingly, I can only hope that the other team does not get those 4 VP. If I manage to squeak into the playoffs and if McCoy manages to make it back by Week 14 (which is looking bleaker by the day), I think my team has potential to do some damage. In the $750#4, I pulled off a monster trade at the trade deadline of Vernon Davis, Matt Ryan and 3 1st rounders (including the likely 1.3 and what appears to be two in the 1.7-1.12 range) for Rob Gronkowski. Not looking so great right now with Gronk going down, but it could be huge in the short run if he comes back for Weeks 15 and 16 and very good in the long run with Gronk in my top 5 overall in this format. The limited roster slots in this league (both in the offseason and in season) played a factor in my decision. The availability (or lack thereof) of top 8 players (partly due to 4 others already being on my team) in this league played another. No other top 8 player was available at this price or less. Basically, it was Gronk or nothing if I wanted to add another elite piece (and I desperately did at TE in particular with Vernon Davis’ inconsistency). That said, at this premium price, the trade has potential to backfire on me in a big way, and odds are I’ll end up regretting at least to some extent the trade down the road, but right now, I feel ok about the trade. The lineup, with Gronk, is now RGIII, Trent Richardson, CJ Spiller, Calvin Johnson, AJ Green, Julio Jones, Demaryius Thomas and Rob Gronkowski, which is as good a dynasty starting lineup that you could have with the only possible improvement being replacing RGIII with Rodgers and/or replacing Spiller with Ray Rice, but I don’t necessarily view those as definitive upgrades. I made a similar trade in the $750#2 league, this time for Ray Rice. I sent Torrey Smith, Demarco Murray, a 1st rounder (in the 1.7 – 1.12 range), Sidney Rice and Daryl Richardson for Ray Rice, Pierre Garcon and 2 2nd rounders. Hated to part with Torrey Smith in particular, but I think it was worth it to get Rice in the FFPC Dynasty format. My lineup is now Cam Newton, Ray Rice, Darren McFadden (or Reece), CJ Spiller, AJ Green, Julio Jones, Demaryius Thomas and Rob Gronkowski. The team I once thought would be one of my best for years to come is now the worst of the three (in both short and long term prospects). Just goes to show how fast things can change in dynasty. Needless to say, this team is falling way short of what I thought I would have at this time and even further short of what I COULD have had at this time. That can happen of course when you trade the 1.1 and 1.3 (possibly AJ Green/Julio Jones) plus Jared Cook for Chris Johnson. I could put together a list of other “not so good”, “bad” and even “monumentally bad” trades that I have made with this team, but I’d rather begin the healing process and move forward. Surprisingly, while looking pedestrian compared with my $750 #2 and $750 #4 teams, this team still looks pretty good and does have some very nice pieces. For that reason, I am not overly concerned, but I will need to be proactive in doing what I can to restock it with dynamic youth and potential (at the expense of the short term). Despite the team’s shortcomings and what “could have been”, the team still has a nice long term outlook and has enjoyed an early fast start. Side note: The oldest player in the starting lineup is......CJ Spiller at 25 years old. This team is, in my opinion, quite possibly the best dynasty team in all of the FFPC. Like the $750 #2 team, this team also boasts the #1 overall points lead in its league after two weeks. Made up very similarly to my $750#2 team, this team is just a little bit better in most areas. Like the $750#2 team, this team’s strength is at WR with the same dominant trio of Julio Jones, AJ Green and Demaryius Thomas. One small difference - this team also has Calvin Johnson! At RB, both teams have CJ Spiller (already a top 5 dynasty RB on my board). Where the $750 #2 has Darren McFadden, this team has the superior Trent Richardson (a top 3 dynasty RB). Where the $750#2 has Demarco Murray, this team has Jon Stewart, Chris Wells and Rashard Mendenhall (even). Overall, I’d give slight advantage to $750#4 at RB. At QB, Cam Newton is difficult to beat, very difficult. However, this team has what I believe to be the superior duo of RGIII and Matt Ryan (either or possibly BOTH of which may outscore Cam in 2012). The only advantage the $750#2 team has over this one is at TE where it has the Great Gronk instead of Vernon Davis. Vernon, however, is no chump, so the shortfall may not be as great as it might seem to many. *Note, I have a total of 5 dynasty teams in the FFPC. The two teams not discussed here are currently in build mode and both look VERY promising for next year. Both are striving to repeat the success of the $750#2 and $750#4 teams and will be the topic of discussion later in the year. As I indicated in my prior post, keeping this team stocked with potential (i.e., looking pretty) takes precedence over building a winner. What?!!! Staying perfectly in line with that objective, just before the kickoff to the 2012 season, I traded away Ryan Mathews (a back capable of leading a team (in particular, mine) to a championship in 2012) for a combination of picks and players that looked to provide zero help in 2012 - to a top 3 team no less. 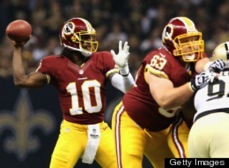 Robert Griffin III, Daniel Thomas and 3(!) 2013 1st rounders. Nothing says potential more than a future 1st rounder. Future 1sts certainly won’t help you win in the now, so potential is ALL they are. Throw into that mix a QB that hadn’t yet played a down in the NFL, and you have the makings of a trade for a whole CRAPLOAD of potential - hopefully with the focus on “load” rather than “crap”. While the trade may NOW look like a slam dunk (after Griffin’s stellar debut that is), at the time of the trade, the risk was very real. Handing a player of Mathews’ caliber (and Cam Netwon previously) to one of the top 3 teams and quite possibly now my toughest competition was an iffy proposition. Fact is, even in hindsight, my team could really use Mathews’ elite scoring at RB, Griffin will still likely be on the bench for most of the year behind Ryan, and the picks aren’t going to do anything to help my chances in 2012. At one time, I loathed this team. Right from the beginning the team seemed cursed when I traded Hakeem Nicks after the startup draft for Marques Colston. 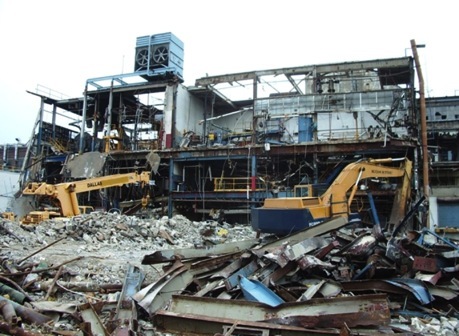 From there, things seemed only to get worse until…they got better. MUCH better. Startup Draft: I put together what I thought was a team that would compete in Year 1 (in my estimation, a top 3 team actually) but hedged a bit by acquiring a total of 4 1st rounders (which is counterproductive when also trying to win, but I am really glad I did that in retrospect). Year 1: Sidney Rice never played in Year 1, MJD had knee ailments early on, and my team floundered badly as a result, going 0-3 to start the season. I pushed the panic button early and blew up the team (in hindsight, I probably would have made the playoffs had I kept the team together) for an all out youth movement. One of the worst trades I made that year (and ever) included trading Greg Jennings (then in his prime) for what ended up being the 1.8 and Eddie Royal. Year 2: With the rookie picks I had, I proceeded to foolishly pass on AJ Green and Julio Jones and traded all of my rookie picks to pick up then-superstar vets like Jamaal Charles and Brandon Marshall in order to “win now”. When Charles went down with the knee, I proceeded to trade Kenny Britt for Jahvid Best to pick up the slack. That was a disaster (still is). I then traded Charles and a guaranteed top 3 future 1st for Darren McFadden to again pick up the slack. McFadden proceeded to Lis Franc his way onto the bench the rest of the way and was the nail in the coffin for 2011. I eventually blew the team up again in favor of youth and picks. Fortunately, one of those moves landed me Julio Jones (Sproles + Marshall for Julio and a 2012 1st ). I ended the season with 5 1st round picks including the 1.1, 1.2, 1.4, 1.5 and 1.8. Year 3 (Offseason): Over the offseason, I made a number of moves and traded (again) all of my rookie picks except for the 1.1 to pick up vets, this time with less emphasis on winning and more emphasis on picking up the dynasty talent I liked best including, most notably, Matt Ryan, Cam Newton and AJ Green. In a gamble of a move which could really bite me in the end, I traded Trent Richardson for Rob Gronkowski (I needed help at TE). Not quite as good at WR as my $750 #4 team, but still VERY good and better at TE and QB. RB is a wash for redraft with a slight advantage to the $750 #4 team for dynasty. While I would like to win with this team in 2012, that is not my overriding goal. My #1 priority with this team and the $750 #4 team is to keep the two teams loaded with the dreaded “p” word – POTENTIAL. It’s the Sunday before the start of the season, and I am now just making tweaks to the team in preparation for the long season ahead. This team, which was once just a shell of a team, is now ready to go up against the best in 2012 (I think). I am happy with where this team has ended up to this point and win or lose in 2012, I consider it a success. I’ll need to be careful not to make the same mistakes here that I made in the $1250 (in the interest of winning now) which has really hindered that team from being as good as it could have been and as good as I had hoped. This team is far better, and I will do what I can to keep it that way. The rookie draft in my FFPC leagues are approaching and the excitement is building. I am feeling good about my FFPC Dynasty teams in general, but I am most excited about the prospects of my team in the $750 FFPC Dynasty League #4. The $750 #4 was formed in 2011, and in the startup draft, I took an extreme approach of drafting ultra young and trading away a large part of the team in order to acquire nine(!) 2012 1st rounders. With the few picks I had left, I drafted AJ Green, Julio Jones and Jon Stewart in the 3rd and CJ Spiller in the 5th for a very nice nucleus to start. Right away, the 2012 team began to take shape. I acquired my QB for the present and future in Matt Ryan, filled my lineup with Mike Wallace and added the luxury of Jeremy Maclin as my WR5. More recently, I made a few notable trades, including a monster trade of Jeremy Maclin, Mike Wallace, Andy Dalton, 1.5, 1.6 and 1.7 for Arian Foster, Ben Tate and Cam Newton. Just today, I traded Arian Foster and Ben Tate for Calvin Johnson (FINALLY, I have him on one of my FFPC teams). I now hold only one 2012 rookie pick, the all important 1.1. The 1.1 this year is SO important relative to other years with Trent Richardson being far and away the only must-have player. It would be IMPOSSIBLE to assemble a better top 3 WR corp for dynasty than Calvin, Julio and Green. 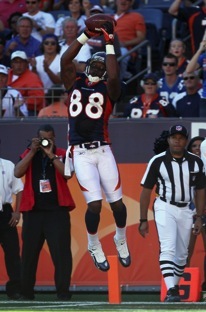 Demaryius Thomas is no slouch either and is also in my top 10 of dynasty WRs. I love what I have at QB in Cam and Ryan and the TE position with Vernon Davis (the TE3 on my board). So that leaves RB. With Trent Richardson (the #2 RB on my board behind only Lesean McCoy) and CJ Spiller (whom you know I love and own in 3 of the 4 FFPC teams) as my RB1 and RB2 plus Stewart and Wells as RB3s, I’d say RB is looking quite good as well. Overall, from a redraft perspective, this team could be better and may not even be the best team on paper in this league (although, it just might be). Unlike the $1250, I have not made trades in this league to bolster my 2012 team at the expense of the future. As a result, from a dynasty perspective, with 5 legitimate 1st round startup players (Calvin, Julio, AJ Green, Cam and Trent) this may well be my best team in the FFPC. Now checking in with the disaster of a team I have in the FFPC $750 League #2. This is the league where I ended up trading (1) Greg Jennings in mid-2010 for Eddie Royal and what turned out to be the 1.8 rookie pick, (2) Darren McFadden for Desean Jackson mid-2010 and (3) Vincent Jackson, Shonn Greene and the 1.3 rookie pick for Jamaal Charles and the 1.10 rookie pick during the offseason. Over the summer, while the uncertainty of a possible suspension for Kenny Britt was still looming, I traded away Roddy White for Kenny Britt and a very promising-looking 2012 1st rounder (from the team I had projected to be the 2nd lowest scoring team), the fourth 1st rounder I would own at the time. After Week 1, I traded Kenny Britt straight up for Jahvid Best. Then, disaster struck with Jamaal Charles going down for the season in Week 2. Still, with the nice start to the season and with Fred Jackson and Darren Sproles on the team producing like superstars, I easily could have stayed the course as a likely playoff team. Instead, I decided to hedge my bets more towards the future by trading Brandon Marshall and Darren Sproles for Julio Jones, Pierre Thomas and another 2012 1st rounder (my 5th at the time). Despite Charles going down and the subsequent move towards the future, the team still boasted a pretty nice lineup of Josh Freeman, Jahvid Best, Fred Jackson, Pierre Thomas, Desean Jackson, Julio Jones, Sidney Rice, and Dustin Keller. But then, with Fred Jackson producing like he was this year's Arian Foster, I just couldn't resist cashing in on the success. I ended up trading Fred Jackson for Mikel Leshoure and yet another 2012 1st rounder, this time from a team that looked good on paper but which had underperformers like Chris Johnson and Dallas Clark and had injuries to the likes of Peyton Manning (i.e., a decent bet to be a non-playoff team which, in this format, could potentially be the 2012 first overall pick). It turns out, I undersold Jackson in hindsight because he just looks unstoppable right now. I also ended up trading Dustin Keller straight up for Jermaine Gresham. After Week 4, with a decent start to the season and the future of the team fairly secure with 6 1st rounders, I decided this time to go the other way and improve my chances to make the playoffs in 2011 by acquiring Darren McFadden for Jamaal Charles and the likely 2012 third overall rookie pick (throwing in Leshoure). Steep price to pay, but McFadden could certainly help me in a playoff push and, should I not make the playoffs, would definitely help my team in the effort to secure the #1 pick through the consolation playoffs. Not bad and looks to be a contender for the playoffs, but depending on how long Best remains out, I am going to need to find a RB2 quickly if I really want to make a difference this year. For the future, I am down to "only" 5 2012 1st rounders, but a number of those look very promising, and I have future help already on the team in CJ Spiller, Torrey Smith, Arrelious Benn, Julio Jones, Demaryius Thomas, etc.. Win or lose in 2011, I am starting to like this team again. I entered a new FFPC dynasty startup this summer (of the $750 variety). I liked what I did in the $1250 with the 6 1st rounders, but I'll always be left wondering what could have been had I kept the 8 1st rounders that I had at one point during the startup draft rather than trading away two of them. I am also left wondering what the team could have looked like if I was not so quick to consolidate value during the offseason (rather than waiting a bit for value to come to me). So I entered this new FFPC $750 to take a shot at rectifying those mistakes and to see what really is possible. It may well be that I'll end up with a lesser team than what I have in the $1250. It also may be that this strategy isn't all that great to begin with and that it's crazy to try it again, particularly in an even more extreme fashion. I am very open to these possibilities and am going into 2011 a little more skeptical about the strategy in general. That said, I couldn't resist giving the strategy one more shot (as it is a lot of fun to try). 1. Aggressively acquire 1st rounders during the startup draft, even sacrificing having the truly elite player to do it. Target number = 8 1st rounders. 2. Acquire players that have the potential of joining the elite ranks in 2012 at the expense of sacrificing production in 2011. 3. Be aggressive in bidding on free agents that will have a potential impact in 2012 where most others are looking to fill lineups for 2011. As you can tell, this team is paper thin with little talent at the moment. I couldn't of had it any other way and still acquire the 9 1st rounders. I am excited though at what this team could become in 2012. On this plus side, there are always gems to be found in the free agent bidding market with the limited sized rosters, so its always good to have a few players that are droppable in any given week. This team has no shortage right now in scrubs. At the end of the startup draft, I came out with 9 1st rounders, one more than my initial target. The plan for now is to keep all 9 until after the season is over, and then figure out what to do with them during the offseason. Trading them any earlier would likely yield the least value in this format. Besides, I have already experienced the danger of trading a pick or two of teams that were seemingly a lock to make the playoffs. My goal is to come out of this season with 5 or 6 of the top 6 draft picks (a realistic possibility given the number of picks I have). During the free agent bidding period just prior to Week 1, I picked up Danarius Moore for $127 of my $1,000 bidding dollars. After week 1, I made a trade acquiring Jeremy Maclin for Chris Wells and Cam Newton and picked up Matt Cassel, Andy Dalton and Blaine Gabbert off the waiver wire (using nominal bids). I am set at WR for 2012 with the Green/Maclin/Jones trio, but I'm going to need at least one of the RBs to break out this year and present startable options in 2012. I have a feeling Spiller will be that RB1 stud that I'll need next year. Stew has a decent shot as well, although having Deangelo signed long term is a huge bummer. I plan to go a little heavier on rookies that I’ll actually draft and roster in 2012 than I did in the $1250. Of course, I'll still need to trade a good amount of the 1st rounders in order to compete in 2012, but I'll worry about those details in the offseason. For now, I need to maximize value on the waiver wire. I'll be checking in with this team's progress from time to time as developments occur. Its that time of year again. DRAFT DAY!!! Nothing like dynasty rookie drafts to get back into the dynasty state of mind. I must admit I’ve been out of the loop as of late in the dynasty world. I know, dynasty is a year-round activity. But, between dealing with a significant increase in real life work activity (and the stress that goes with it) and not knowing if there will even be a season this year, I haven’t been nearly as engulfed in my dynasty teams as I normally would be this time of year. That has to change now since I’ve got the $1250 FFPC and the $750 FFPC rookie/free agent drafts going on and I need to be sharp. This is a good opportunity to talk about my $750 FFPC Dynasty team (since, unlike the $1250 team, I actually have a few rookie picks left including the 1.2). As you might have noticed, I don’t write about this team nearly as much as the $1250 team. For one I had a miserable 2010 season in a league where I made short-sighted efforts to draft a win now team at last year’s startup draft. Despite collecting 4 1st round picks in the early part of last year’s startup draft, I really felt like an opportunity was there to draft a bye-level team which led me to draft Tony Freaking Gonzalez in the 6th round (1.5 PPR for TE can make you do stupid things). Then I made another “win now” move of trading Hakeem Nicks for Marques Colston a week before we found out Colston had another knee surgery. That alone made it painful for me to look at this team knowing what could have been. Still, going into the 2010 season, I really thought I had a top 2 team on my hands for 2010. Unfortunately, things did not go as planned. MJD played hurt in the early part of the year and Sidney Rice was lost for large chunk of the season, and after a 1-4 start, I decided to tear down the team and regroup for a run in 2011. Unfortunately, that led me to trade Greg Jennings for a 1st rounder that was slotted at the 1.1 but, after a massive run to end the year, ended up being the 1.8. It was silly of me to trade a player of Jennings caliber for a 1st rounder since I left myself with no margin of error...it was the 1.1 or bust. And bust it was. It goes to show that however unlikely, with some luck, a team can turn around its fortunes in fantasy football at any time...including mine. As it turned out, MJD turned his season around, Darren McFadden became a PPR stud (oh, did I mention I traded him away too - sigh), Jennings had an incredible 2nd half and even Colston was pretty good. Had I patiently waited on this team, I would have made the playoffs and possibly could have contended for the title (as I have been painfully reminded by a league mate on more than one occasion). Anyway, even with all the sulking over the bad trades and over having torn down my team a tad early, I still managed to come out with a decent team for 2011 helped by the 6 1st round draft picks I accumulated (4 during the startup draft and an additional 2 during the season). A few key offseason moves included trading Vincent Jackson, Shonn Greene and the 1.3 rookie pick for Jamaal Charles and the 1.10 rookie pick. I then traded the 1.7 and 1.8 rookie picks for Owen Daniels (a solid value at 1.7 in a 1.5 PPR TE league) and a random 2012 1st rounder. Next was the 1.6 and Golden Tate for Josh Freeman and Braylon Edwards. Finally, just last week, I traded the 1.5, 1.10 and Jacoby Ford for Brandon Marshall, Dustin Keller (whose perceived value, even in a 1.5 PPR league, has been in the gutter lately but whom I still believe will be the stud many predicted he would be) and Fred Jackson (I have Spiller). 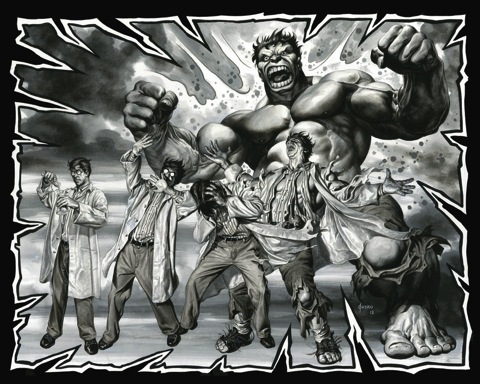 Surprisingly, I ended up with a pretty good team going into 2011, one I could feel good about. I don’t have another pick until the 7th round so this is bye for now, but I’ll be back if I am able to trade my way back into the draft. Here are revised rankings (already). Unlike some other rankings, for better or worse, mine will change regularly. Nothing crazy, but I tend to react (and sometimes over react) quickly to developments, market perception changes and the like. Any change is fair game, except that you won’t likely ever see Calvin or Fitz get moved out of the top 3 at any given time (that just how it is). 1. Calvin Johnson: Fitz has always been my favorite, but Calvin is more likely to have better production in the short term, has a higher ceiling and is still super young. Like I said in my mock draft, I would take him 2nd overall in a FFPC format startup draft today. 2. Larry Fitzgerald: Once the perennial #1 on my WR rankings (and overall as well), he was bumped down by Andre Johnson last year and now Calvin this year. He is till very much in his prime and will be for a number of years. Even without a good QB he produces. Improve the QB situation and he could jump back to #1. 3. Andre Johnson: Getting a bit old for my taste. I felt that going into last year when I had him at #1, but his expected production is too great to bump down any further than this. 4. Hakeem Nicks: I will never be able to live down the trade of Nicks straight up for Colston in the FFPC $750 Dynasty. I LOVE this guy and its sad that I only have him in two leagues (for only $160 in combined entry fees). Offered Dwayne Bowe (whom I also love) PLUS the 1.5 for him in the $1250 and was rejected. Doing the mock draft got me going (finally) on a set of rankings. Hope you enjoy. 1. Calvin Johnson: Fitz has always been my favorite, but Calvin is more likely to have better production in the short term, has a higher ceiling and is still super young. He could be the #1 player overall in dynasty (and is for me in most formats). 2. Larry Fitzgerald: Once the perennial #1 on my WR rankings (and overall as well), he was bumped down by Andre Johnson last year and now Calvin this year. He is still very much in his prime and will be for a number of years. Even without a good QB he produces. Improve the QB situation and he could jump back to #1. 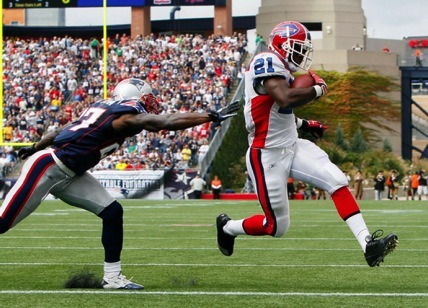 Team 12 – 2.1: Lesean McCoy: Probably should have slotted him a bit higher in the 1st round. Team 11 – 2.2: Rashard Mendenhall: His yards per carry is a bit of a concern, as is the workload. Still, the guy looks like he’ll be a touchdown machine for years to come. Team 10 – 2.3: Jonathan Stewart: He did just enough at the end of the year to win me back over. With the mess in Carolina this year and his early poor performances, I must admit that he had me worried, very worried. 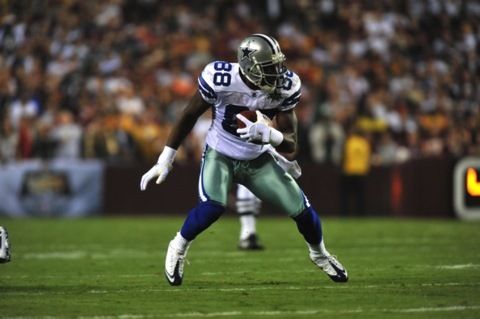 Team 9 – 2.4: Jermichael Finley: Yes, still over Antonio Gates, Jason Witten and others. The injuries are a concern, but this guy is amazing and worthy of being the cornerstone of a dynasty franchise in this format. Team 8 – 2.5: Greg Jennings: One of my team regulars. I am a bit concerned that Finley will take away looks the way he did at the beginning of 2010, but Jennings’ performance in 2010 showed me that he still belongs among the elite. Team 7 – 2.6: Brandon Marshall: Hard to believe I am bumping him down to the 2nd round (I’ve drafted him in the first round for years now), but there are just a lot of great players this year at the top. Team 6 – 2.7: Aaron Rodgers: Oh my, forgot about this guy. He should be at 2.3 just before Stew perhaps. Team 5 – 2.8: Darren McFadden: Injuries always a concern with him, but he showed that he can be elite when healthy. 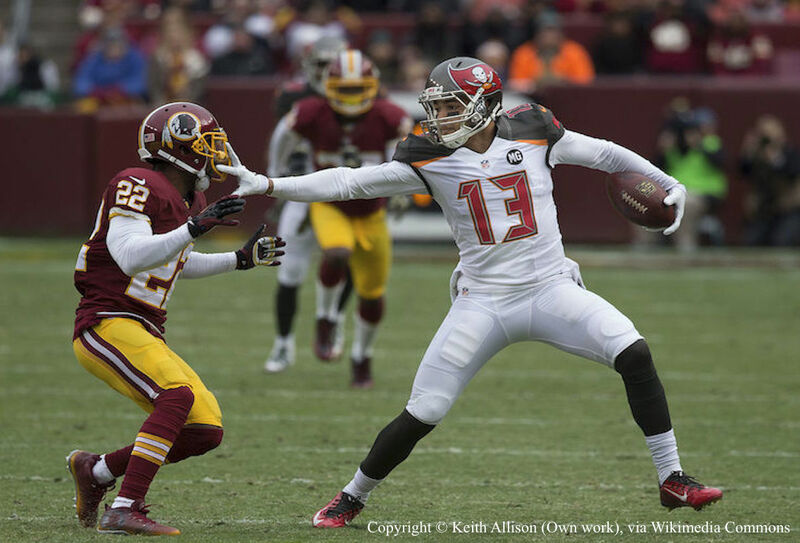 Team 4 – 2.9: Desean Jackson: WR9 will likely be higher than most others’ rankings, but this guy is one of my favorites. He has yet to hit his true ceiling. 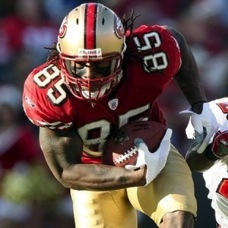 Team 3 – 2.10: Vernon Davis: What can I say, I really like TEs in this format (particularly young ones with elite talent). Team 2 – 2.11: Antonio Gates: Getting long in the tooth, but if he recovers in time for the 2011 season, he could be worth this price with the monster numbers he puts up in this format. None of my teams would take him this early (and for that reason, he should fall to the 3rd round next mock draft), but someone surely will. Should easily be the #1 TE in this format for redraft. Team 1 – 2.12: Philip Rivers: Looked awfully good in 2010. Its time to MOCK DRAFT!!! The first dynasty mock draft of the year! Basic Rules: One round at a time. FFPC Dynasty rules – 12 team PPR, TE=1.5PPR, QB, 2RB, 2WR, TE, 2 RB/WR/TE. To add to the fun, I’ll be on a 1 minute clock for each pick with an additional minute after the pick to write a description. No deep thinking this early in the year, and no editing (other than typos). 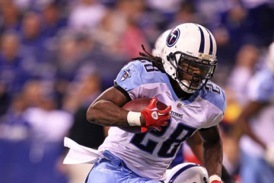 Team 1 – 1.1: Chris Johnson: Despite a disappointing 2010, I’d still take him #1 in this format. 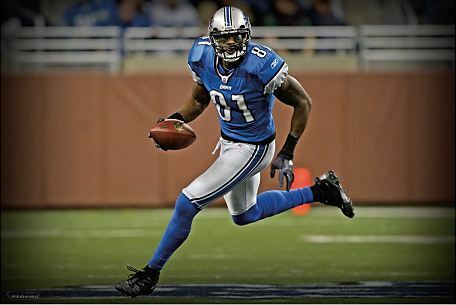 Team 2 – 1.2: Calvin Johnson: Possibly too early in a 2RB min league, but his shelf life as an elite player should easily outlast the elite RBs. If not for Chris Johnson’s superior market value, I would probably take Calvin #1. Team 3 – 1.3: Ray Rice: Another disappointing year for a stud RB, but he’s young and excellent in PPR. 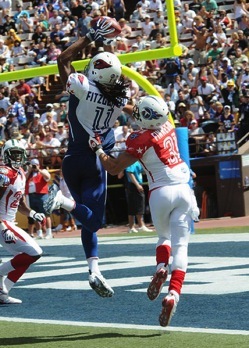 Team 4 – 1.4: Larry Fitzgerald: It seems like so many are down on him these days. I still have him as the #2 WR for fantasy. Still young and very much in his prime. Team 5 – 1.5: Adrian Peterson: I could make a case for taking him #1 due to immense talent but also #12 due to wear and tear (he’ll be an “old” 26 this March). Look at the hit Frank Gore’s value has taken this offseason. That could be Peterson in 2 years. Team 6 – 1.6 Jamaal Charles: Wish I jumped on his bandwagon sooner. This guy is a stud! Team 7 - 1.7: Andre Johnson: Gut call. I’m getting a little worried about taking him this high due to age, but he could lead a team to the title in 2011. Team 8 – 1.8: Hakeem Nicks: Still hurting from trading him away for Colston during the preseason in the FFPC $750 Dynasty League. IDIOT!!! Team 9 – 1.9: Roddy White: Tough call here between him and Dez Bryant. The tie breaker - Roddy has better market value. Team 10 – 1.10: Dez Bryant: Based on this mock draft, I guess I have Dez as the WR6 (technically not the “Top 5” WR that I claimed him to be in a prior post). Team 11 – 1.11: Arian Foster: Could be a popular choice for #1 in 2011 redraft leagues. I was slow getting on his bandwagon and may, to some extent, still be disrespecting him with a mere #11 ranking. I already traded him this offseason in one league for Roddy White. Team 12 – 1.12: Maurice Jones-Drew: Another immensely talented player dropping down some due to injury and wear and tear concerns (and, like Peterson, is also turning 26 this March). Quick Observation: The talent at the top is deep this year. Having the 1.12 in a startup in this format would not be a bad place to be. This post has been a long time coming. Real life took over unfortunately. I’ll try to get this going again now that we are in the dynasty offseason. With the 2010 fantasy season now in the books, this would be a good time to assess where my team stands in the $1250 FFPC Dynasty League. First off, lets take a look at the projected keepers. We are permitted to keep 16 players (out of 20) going into the draft. On the bubble (I can choose to keep only one if the above roster holds): Danario Alexander, Donnie Avery (IR), Golden Tate, Chaz Schilens, DHB, and Kareem Huggins (IR). This will be a tough call between Alexander, Avery and Tate I would think. Quick Background Recap: Per the numerous entries on this league, this team was built specifically to compete in 2011 and beyond with 6 1st round picks and a bunch of young players that I anticipated would increase in value. The goal in Year 1 was to accumulate as much value as possible up and down the roster in order to consolidate that value into stud players, even overpaying where necessary to do it. Unfortunately, I haven’t had much opportunity to write lately as things have gotten crazy busy at my day job (lately, a day and night job). That, in addition to managing as many leagues that I do (not to mention having a newborn), has made it difficult to say the least to find the time to write (notice the time stamp). On a general note, I am having the fantasy season from hell this year (at least on the dynasty front) which honestly hasn’t exactly given me extra motivation to write. Some teams that were really good (or so I thought) are now languishing in the standings. It is still early in the season, so things can change, but I’m not feeling good at all about 2010 and am now having to make some tough strategy choices in those leagues. The FFPC’s $750 Dynasty League is one of those leagues. I wouldn’t call my team there a dominant team by any means (yet), but I fully expected to at least make the playoffs and compete for a bye. Well, we’re almost a third of the way through the season, and I am tied for second...from the bottom! Worse yet, I don’t own my own 2011 1st rounder (although the picks I do have, if the season were to end today, would be the 1.1, 1.3, 1.4 and 1.9, so not really complaining about that). Just traded Maclin for CJ Spiller in a $500 dynasty league (WCOFF scoring/lineups). I really like both players, and Maclin has had a hot start, but couldn’t resist bringing on a player as dynamic as Spiller. Here’s a clip from last week’s game against the Patriots. Buffalo is a mess right now, but I really think Spiller’s going to get it going THIS year, especially if and when Lynch is traded. He’s just too good to save for next year. (1) Demaryius Thomas is fast, very fast. According to the announcers, Josh McDaniels indicated that he was the fastest player on the team (although a Denver Post article quoted McDaniels as saying that Thomas was “among” the fastest on the team). He supposedly timed an unofficial 4.38 40 during a work out before the foot injury (which if true, might make him the fastest Bronco after all), but I was skeptical about that time as I would be of any unofficial time. With Week 2 in the books, I thought it would be a good time to check in on the FFPC high stakes dynasty leagues. The real action was in the $1250 where I participated in the first player for player trade in the league (take a guess on which player I acquired). I also splurged during the first BBID period of the season occurring just prior to the first Sunday of the season. The season begins, finally! Just got through setting my lineups. With 25 dynasties and 1 regular redraft this year (up from 19 dynasties last year and zero regular redrafts), it took quite a bit longer to get them done (or at least it seemed like it after the long layoff). It took long even after already having set preliminary lineups on Wednesday night, so tonight was only about making minor tweaks and final decisions. I am really dreading the weekly Sunday morning updates before game time though having this many leagues. With last minute active/inactive news, it will be a challenge first, remembering what players I have on all my starting lineups without having to go through ALL of the them again and second, implementing all of the necessary changes in time for kickoff. This will be even more difficult to impossible some weeks where I can’t be at my computer right before kickoff (although my wife has an i-phone so I’ll have to look into getting MFL Mobile 2010). Screw ups are bound to happen (they do every year for me), so I just hope I don’t make too many of them that end up costing my teams. For now, I’m going to sit back, relax and enjoy some Total Access at midnight. More redraft talk. I just drafted a team for the Footballguys Players Championship, a $350 entry for a shot at a $1600 league championship prize and $100,000 for the overall championship. This is my only regular redraft league of the year, and I decided to enter this one fairly last minute when it was announced that the grand prize would be $100,000. Anyway, we had some strange draft picks including Ryan Grant at 1.12, Lesean McCoy at 2.3 (ahead of the likes of Reggie Wayne, Dallas Clark, Antonio Gates and Randy Moss), Cedric Benson at 3.06, Ronnie Brown at 4.10, etc. The apparent theme, RBs were getting drafted early and often. An example of a strange non-RB pick, Mike Williams at 7.1. No, not the TB version, the Seattle one! The TB version went at 7.8 completing the run on Mike Williamses. I’ll be writing from time to time about a number of my Year 2 fantasy football dynasty leagues (some good situations, some not so good) to see how certain startup strategies played out. Here, I am taking a closer look at my team in the Presidential Suite II Dynasty League, a $150 entry fee dynasty league which was started in 2009 by commish “Kremenull” (as he is known on the FBG forums). Now that we are well into the preseason, I thought this would be a good time for an update on the FFPC $1,250 Dynasty League. Although there were 31 trades made during the startup draft, no trades have yet been made since, which is not totally unexpected this soon after a high stakes startup. I know I have been more cautious and have spent more time analyzing trade proposals than I normally would as the implications for each trade are greater here. Also, most of the league members are gearing up for the high stakes redraft season, so their focus is elsewhere. Drafts are underway. I’ll update my teams here as picks are made including some commentary. 1.01 Adrian Peterson: I struggled here between MJD and Peterson, so I went Peterson here and MJD in DM3 where I again had the choice between the two. With this league being at somewhat higher stakes, I guess I sort of chose ADP. 2.12 Pierre Thomas: The WRs got sucked up fast in this league - I was hoping for Colston here. Drew Brees was available, which almost caused me to abandon the QB strategy and take an elite one here. Decided to go with Pierre, whom I normally would target later in the 3rd round, but at this draft slot (and with all of my WR targets gone), I had to draft guys earlier than Im used to seeing them drafted. 3.01 Antonio Gates: I made a decision here that I would not be loading up on TEs later, so I’d better get one of the top two now while I still can (again, earlier than Im used to seeing him drafted unfortunately). I am overloaded on Clark (my preferred redraft TE) in other leagues, so I went with Gates instead. I have the two basically even anyway. Any draftmaster enthusiasts out there? While I spend almost all of my fantasy football study time on dynasty these days, I really enjoy playing in draftmaster leagues (i.e., best ball scoring format – draft it and forget it leagues). Aside from the low-maintenance aspects of these leagues (no setting lineups, no trades) which allow me to play in the first place, I really like the strategy involved in constructing a team. I also like that scrubs like Jake Delhomme can actually make a difference in this format (ok, maybe thats a bad example). I have three draftmaster leagues to draft starting this weekend (slow draft as in all my leagues) so I thought I would mix things up by throwing in some redraft talk and covering my picks in the three leagues here simultaneously (in subsequent entries). Here is the second installment of the fantasy football dynasty league market value series, this time on my favorite player, Larry Fitzgerald. Speaking of cool league sites, I would be remiss in mentioning The Monster League (which really does have the best design I’ve seen) and not mentioning its sister leagues, The Dynasty League (a $500 Dynasty startup from earlier this year) and Bad Lands (a $250 Dynasty Startup from 2009), which also have great looking sites. These leagues are run by Dave Boutin (BootyShakers) and are a ton of fun. I must say that it does add a lot to the dynasty experience to have graphics like these to look at every time you log on. Thanks Dave and DA Grafix! Hey guys. Check out the design and graphics on this MyFantasyFootball league site for The Monster League by DA Grafix. Probably the best I have seen. Here are a few mini-banners as examples. I’ll be reviewing this draft on the blog once it is complete. Behold, The Rise of Justin Forsett! I took him in the 15th of The Dynasty League in an attempt to lock up the Seattle backfield (excluding Lendale and Julius). I loved him SO much that I waited until the 15th round to take him and only after I had already drafted Leon Washington two rounds prior! There is no way I could I have anticipated this kind of rise in startup value when I took him there, and I would be hesitant in taking him now before the 8th round of a fantasy football dynasty startup draft. This was originally looking to be a short entry since I had no 4th rounder, but that changed rather quickly, starting with all the 3rd round trading activity. Speaking of Maurice Jones Drew, I just traded for him myself in the startup draft for the FFPC’s $750 Dynasty #2 that just started on Saturday July 17. I drew the 9 hole, and was pretty bummed that again I could not land a top 7. An offer came in when the 1.04 was on the clock. After some countering, we hammered out a trade of the 1.09, 3.09 and 4.04 for the 1.04, 3.04, 9.04 and a 2011 1st. Pretty steep price for MJD and I took a huge gamble that my 7th player on my board (Calvin - not that far off from the #1) wouldn’t make it to 1.09. Of course, he did (due to Gore and Rodgers getting picked in between), so I pretty much got hosed on this trade (or at least I would have been much better off staying put). Anyway, we are now in the mid-3rd and the way things are shaking out and after a few moves and other plans in the works, I think I can recover from the trade (not that hard to do with MJD on the roster). More about my thoughts on the trade (and what I was thinking) later as we get a little further along. I should be starting the writeups on this new league tomorrow. With me drafting in 3 draftmaster leagues and 2 dynasties right now, I’m falling behind a bit. Well, I am VERY happy with my team and this could go down as possibly the best dynasty team I’ve ever drafted (or at least top 3). Still, while the team has received praise from a few (special thanks to Red vs Blue Radio for the kind words in their June 18 episode - love their show by the way), the draft strategy has understandably garnered quite a bit of criticism on the FFPC message boards. 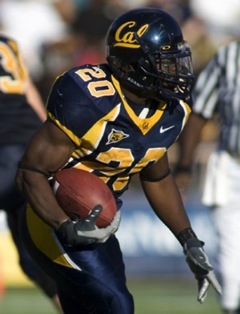 Fortunately, I’m not in this to look good now, but instead to DOMINATE in 2011 and beyond. So much for taking two stud WRs with my first two picks. Things didn’t go exactly as planned at the top of my draft, but when that means I can draft Jonathan Stewart near the end of the 2nd round and Rashard Mendenhall as the fourth pick in the 3rd, you won’t hear any complaining from me. Here’s the play by play account of my experience drafting in this extreme high stakes dynasty league. Day 1: Big part of the overall plan was to acquire 2011 first round picks and lots of them. At my first opportunity, I sent out an offer to the one owner that I knew had been previously shopping around his 2011 1st rounder (via PM on the FFPC message boards). I offered my 1.12 for his 2.10 and his 2011 1st. Trade accepted! I am very excited about this newest offering in the high stakes dynasty arena – the Fantasy Football Players Championship’s $1,250 High Stakes Dynasty, the highest stakes dynasty league in the land. The FFPC is offering dynasty leagues for the first time, two at $750 and one at $1,250. I signed up at $1,250 to test myself against some of the top redraft and dynasty fantasy football players around and to see if I could translate my success in other dynasty leagues to success in true high stakes dynasty.